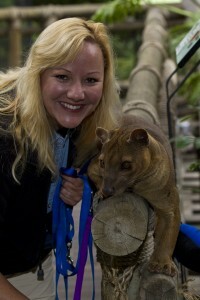 Nicki Boyd and is the Behavior Husbandry Manager at the San Diego Zoo. Her educational background includes graduating from Moorpark College’s Exotic Animal Training and Management Program, Masa College’s Animal Health Technician Program, with an Associate in Science Degree, and a Bachelor’s in Business Administration from the University of Phoenix. 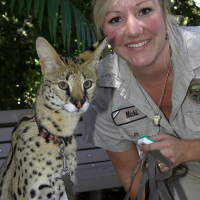 Nicki has worked at the San Diego Zoo for 25 years in various departments such as zookeeper at the Children’s Zoo and Veterinary Hospital, animal handler in the Behavior Department, senior keeper, Team Area Lead, Animal Care Supervisor, Animal Care Manager, Personnel Manager, and now currently as the Behavior Husbandry Manager. Nicki is currently the president of the Red Panda Network which is a non-profit organization dedicated to saving habitat for wild red pandas. And she is also the Past President of the Animal Behavior Management Alliance (ABMA) also serving on the board of directors there for 9 years. To build upon this Nicki is also on the board of directors for the International Avian Certification Board and she is a certified bird trainer. She serves on both the Animal Ambassador Species Advisory Group and the Behavior Advisory Group of AZA committees. 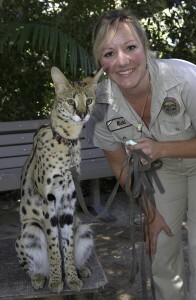 Her role as Behavior Husbandry Manager is to set up training programs all over the San Diego Zoo. 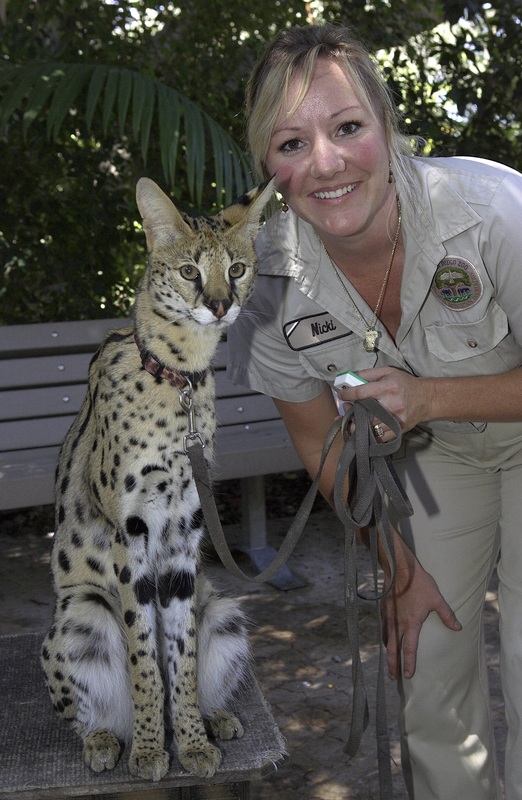 She works with various species of bears, large and small cats, hyena, canids, animal ambassadors and many species of other mammals, birds, and reptiles. Training dangerous animal’s means being in close proximity and this requires focus, appropriate facilities, and good safety protocols; part of Nicki’s role is training staff to be safe whilst training animals. Thank you for this podcast. I love teaching Husbandry . It is such an important part of a training program. I very much enjoyed listening to Nicki talk about her work. Started condition several species back in the 80’s before it was a common program at zoos. Loved the bonding & trust between caretaker & animal. A much better way to care for exotics. Ms Boyd. I’m writing a research paper. Please write back to me as soon as possible to tell me anything about you, your training foosa’s, plus any books or articles written on or about you or by you. I’m in 3rd grade. Thank you.